Inside the casino at Resorts World Catskills in Monticello, N.Y., in March 2018. MONTICELLO, N.Y. — There’s nothing obviously wrong with Resorts World Catskills, the 13-month-old casino tucked among forests and rolling hills about two hours north of New York City. The hotel rooms are big, the views nice enough. The casino is packed with Las Vegas-style table games and a couple thousand shimmering slot machines. Parking is easy, the staff friendly; everything is spick-and-span and there’s a dining option for any budget. So why is the billion-dollar casino struggling so mightily, falling so short of revenue projections that some experts are already questioning its long-term viability? A generation ago, people probably would have. 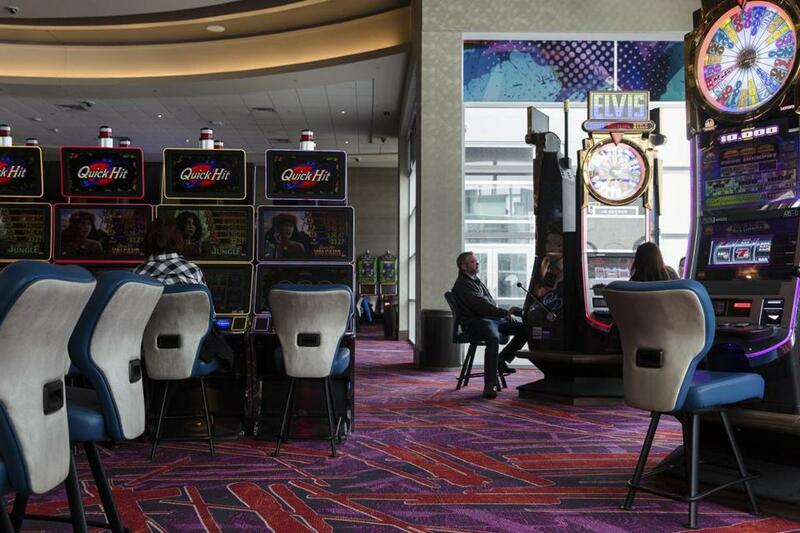 But casinos have sprung up across the Northeast, transforming the competitive landscape and offering cautionary examples for Massachusetts, where the state’s second big casino is due to open in June. In New York, all four upstate casinos to open or expand within the past 2½ years have fallen short of revenue expectations, according to published reports. One of them, the del Lago Resort & Casino, in Waterloo, may not be able to support its debt without substantial improvement in revenue or some other cash infusion, according to a grim report by Moody’s Investors Service in January. Moody’s cited “the highly competitive nature” of del Lago’s market, with four racinos and one full-scale tribal casino within 100 miles. The Mohegan Sun casino and hotel in Uncasville, Conn. In Massachusetts, the MGM casino in Springfield is also running behind revenue estimates since opening in August, though the numbers improved last month. 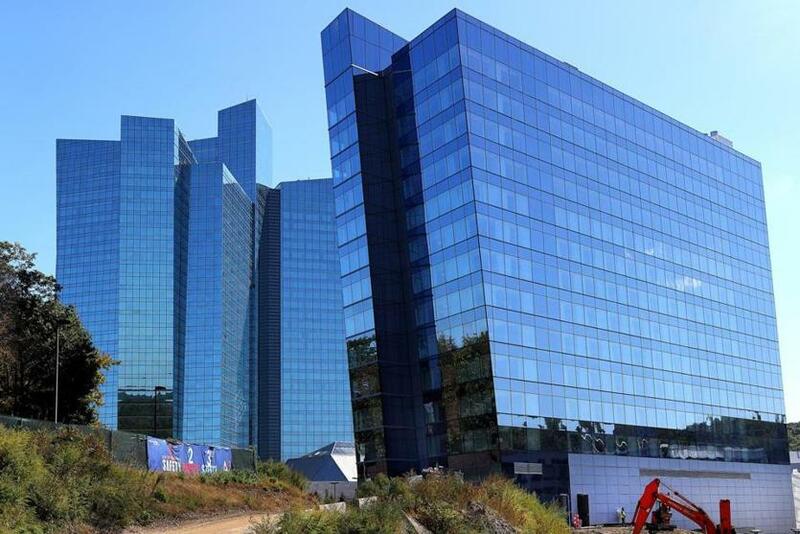 The giant Connecticut tribal casinos, Foxwoods and Mohegan Sun, are down substantially in slots revenue from their peaks before the Great Recession. Despite some rebounding in recent years, in fiscal 2019 both Connecticut casinos are running behind the prior year’s pace, according to numbers tabulated by Paul DeBole, a Lasell College professor and gambling specialist. Competition in the Northeast market will tighten again with the addition of Encore Boston Harbor, a $2.6 billion resort in Everett, with a gambling floor big enough to park jumbo jets. The casino’s owner, Wynn Resorts — now going through a license review following sexual misconduct allegations against its founder — wants to open the resort in late June. The crowded market and lower-than-expected revenues — and the taxes they generate — may require a resetting of expectations for the casino industry and could serve as a red light warning against further expansion in the Northeast, specialists said. Expansion remains on the table in Massachusetts. Both of the state’s federally recognized tribes have pursued tribal gambling facilities, and the Massachusetts Gaming Commission is sitting on another commercial casino resort license that’s earmarked for the southeastern part of the state. “If I were chair of the Gaming Commission, I would be taking a good hard look at not awarding that final license,” DeBole said. The slots at Twin River Casino in Lincoln, R.I.
Resorts World Catskills — about a four-hour drive from Boston and 2¾ hours from Springfield — is deep in the woods at the end of a long, winding boulevard that gives a sense of seclusion. It would be dwarfed by a Foxwoods or Mohegan Sun; the scale is more in the neighborhood of a rural MGM Springfield. Twenty years ago, such a Catskills casino resort probably would have been a hit, Woinski said. But the so-called Borscht Belt is not the tourist draw it once was, and the Northeast’s gamblers are now overwhelmed with options. Resorts World Catskills did not respond to a request for comment. 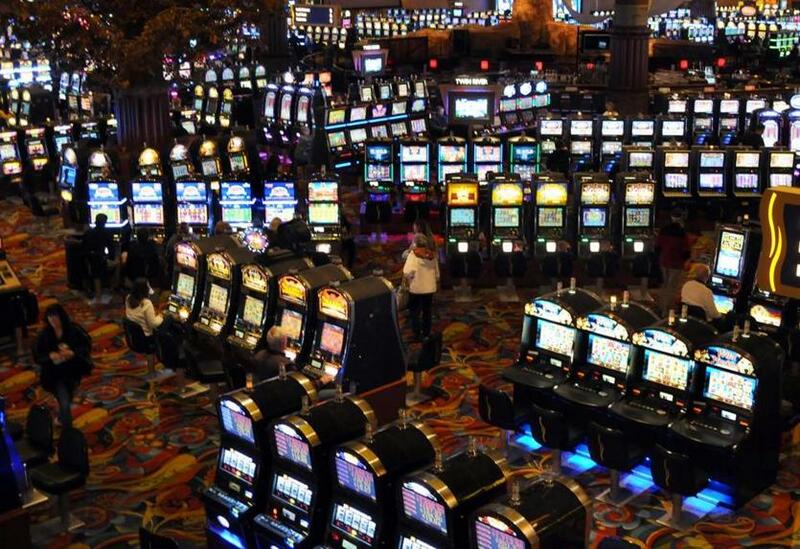 The company has said in the past that its gambling revenue cannot be accurately analyzed before the opening of an adjacent family resort and water park and a new golf course. In the beginning of East Coast casino gambling, there was only Atlantic City, where the first casino opened in 1978. The New Jersey vacation city peaked in 2006, with a casino gambling market worth $5.2 billion a year, before competition began to bite into its business. By 2015, the Atlantic City market had been chopped in half, to $2.6 billion; new Internet and sports gambling measures helped bump revenue up to $2.9 billion last year. Woinski, who is based in Paramus, N.J., said the drive is a bit more than two hours to Atlantic City, which was once the only game around. Now, though, he is roughly the same distance from SugarHouse Casino in Philadelphia and Mohegan Sun Pocono. He’s even closer to Sands Bethlehem in Pennsylvania and Resorts World Catskills. And then there is the Empire City Casino in Yonkers, N.Y., a mere 30 minutes away. So which one is he most likely to visit? The Northeast’s market has evolved substantially since Massachusetts legalized casino gambling nearly eight years ago, beginning with the addition of Resorts World New York City, in Queens, which opened to strong revenue numbers in late 2011, around the time Massachusetts approved its gambling legislation. Other key market changes since 2011 include Rhode Island’s aggressive moves to add table games and sports betting at Twin River, in Lincoln, and to open a casino in Tiverton, on the Fall River line; the opening of the Oxford casino in Maine; and New York’s recent upstate expansion as well as the Jake’s 58 casino on Long Island, which opened in 2017. New York has also seen the establishment of new tribal casinos, such as Point Place, near Syracuse, which opened last year. What might this changing landscape mean for Encore Boston Harbor? Wynn Resorts has long enjoyed one of the most loyal and coveted customer bases in the industry, Woinski said, and Encore will be a beautiful property. “But they’re still opening into a very complicated and saturated market,” Woinski said. A Wynn Resorts spokesman declined to comment. MGM’s revenue will grow as it learns its market and fine-tunes its promotions, he said, just as revenues grew at the Plainridge Park slots parlor in Plainville, which opened in 2015. He expects Encore to undergo a similar ramp-up. In Southeastern Massachusetts, Rosenberg said, the gambling industry is capable of figuring out whether the market can support another casino resort. “Nobody is going to propose spending a billion or hundreds of millions of dollars in a facility unless they believe they can make money at it,” he said.